Don’t miss out on a chicken & ribs dinner including sides and dessert to go! 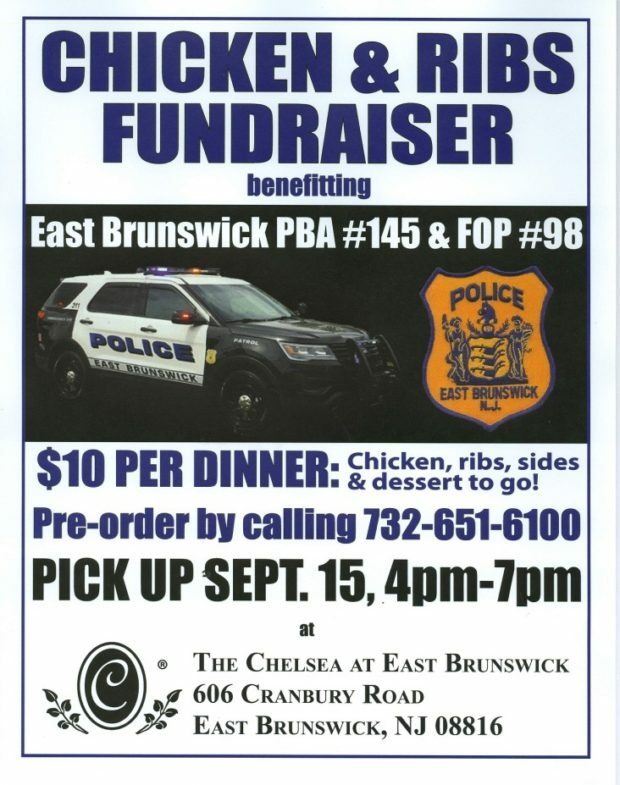 Thank you to The Chelsea at East Brunswick for organizing this fundraiser. Posted in Fundraiser and tagged fop, fundraiser, pba.